Roof turtle vents are used for attic ventilation. They are installed on top of the roof; homes generally require one vent for every 150 square feet of attic space. These vents are small in size and a hole must be cut in the roof for their installation. The vents can be placed anywhere in the attic and are square with rounded corners. 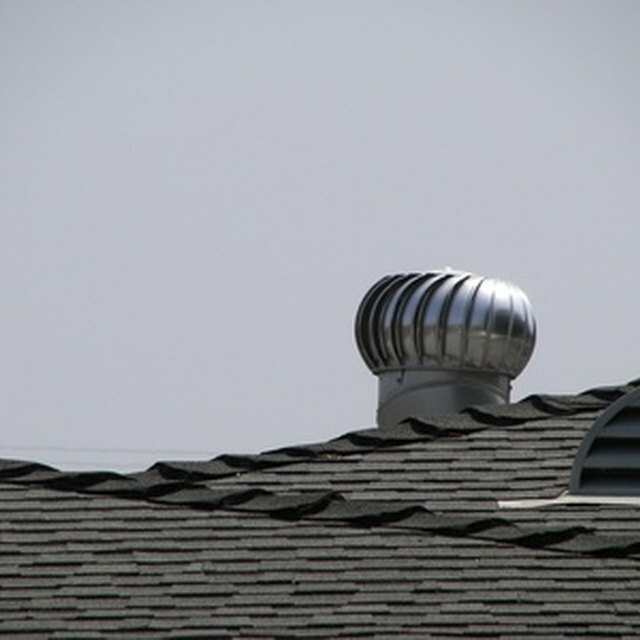 Turtle vents are installed in a similar manner to roof vents and are necessary for any home to receive proper ventilation. Climb up a ladder and decide where to install the roof turtle vent. The peak of the roof, where the attic is the hottest, is the best place for one. Peel back the shingles where the vent will be installed with a claw hammer. Peel off full pieces without breaking them if possible. Measure the size of the turtle vent and outline it on the roof so you can cut the proper size hole. Cut a few inches to the inside of the marked lines with a circular saw to frame out the opening. This will leave enough room for the vent to be nailed securely to the plywood. Line up the turtle vent along the opening and run a bead of caulk along the underside of it near the outside edges. Apply the caulk all the way around and install the vent so the edges adhere to the plywood underneath the shingles. Insert roofing nails around the outside of the vent to secure it to the plywood. Replace the old shingles with new ones that match. Hammer the shingles into place so they completely cover the flashing surrounding the turtle vent. Inspect the vent to make sure there are no gaps around the outside and clean up the area. Climb down the ladder carefully upon completion. Be very careful when using a ladder on a roof. Make sure it is always on steady and stable ground.